… helps you to move forward into your future. We are always meant to move forward in our lives and not spend time looking backwards. 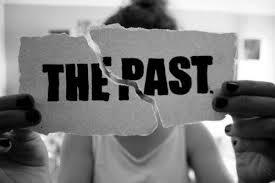 But many of us get stuck looking back at the past. We relive it over and over again keeping ourselves in a viscous cycle of stagnancy. The only way to move forward in your life is to acknowledge your past – get the lesson from it – and get out of it. By continuing to look back and play the blame game, we never grow into the beings we were meant to. We keep ourselves back. Your past is your past for a reason. It has set the foundation for you to become who you are today. But if you are unwilling to acknowledge the challenges that were set up for you to specifically overcome, you might instead see yourself as the victim – and victims tend to look back at their past with regret, anger and resentment. You are NEVER a victim of your life. No matter what you tell yourself, your past is your past for a reason. Your circumstances (no matter how dire they may be) are your catalyst for growth. The degree to which you will evolve in this life is contingent on the degree to which you allow yourself to learn from your past and subsequently make changes so that your future is brighter. Looking backwards will only keep you stuck in a cycle of pain, remorse, anger and resentment. Your work is to find meaning in your past and shut it down – once and for all. Once you have found the meaning (the lesson), your future will always be brighter. The universe rewards those who move forward in their lives. Those who look back will continue to live the painful past they are focusing on. After all, you can’t start the next chapter of your life if you are still re-reading the last one.